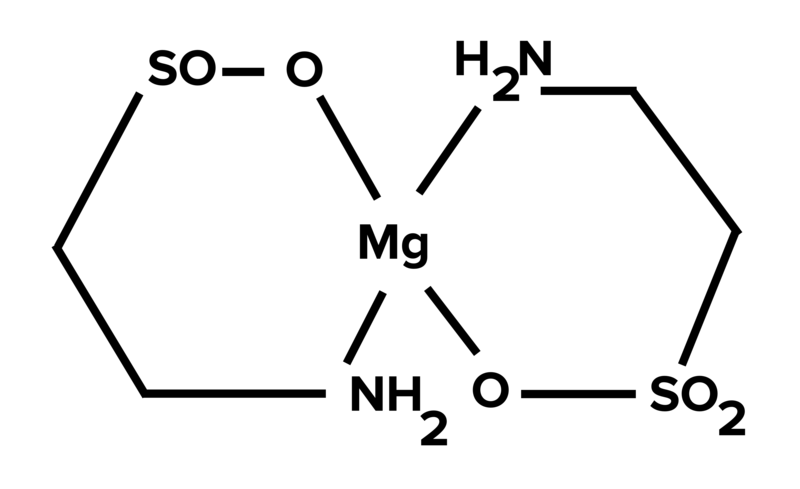 Magnesium is used in over 300 enzymatic processes, including all of those involved in ATP production. It’s also vital for proper transcription of DNA and RNA. 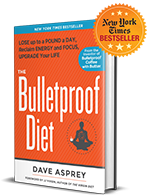 Almost everyone is deficient in magnesium. The majority of people don’t meet the RDA, which is already too low. Due to soil depletion and poor farming practices, it’s almost impossible to get enough magnesium from your diet. Without a doubt – everyone should supplement with magnesium. 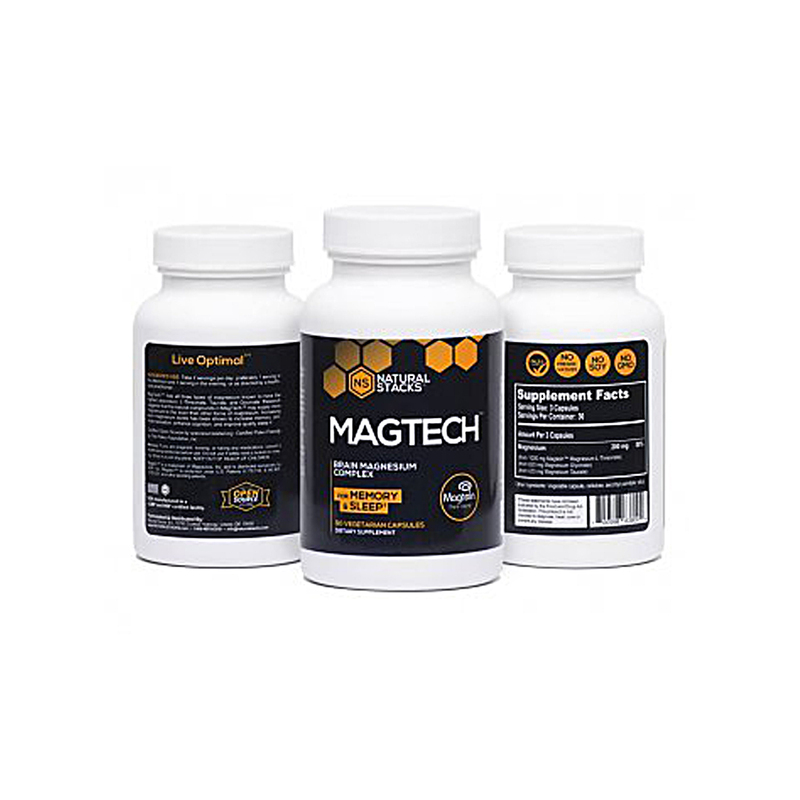 MagTech is a superior magnesium supplement. 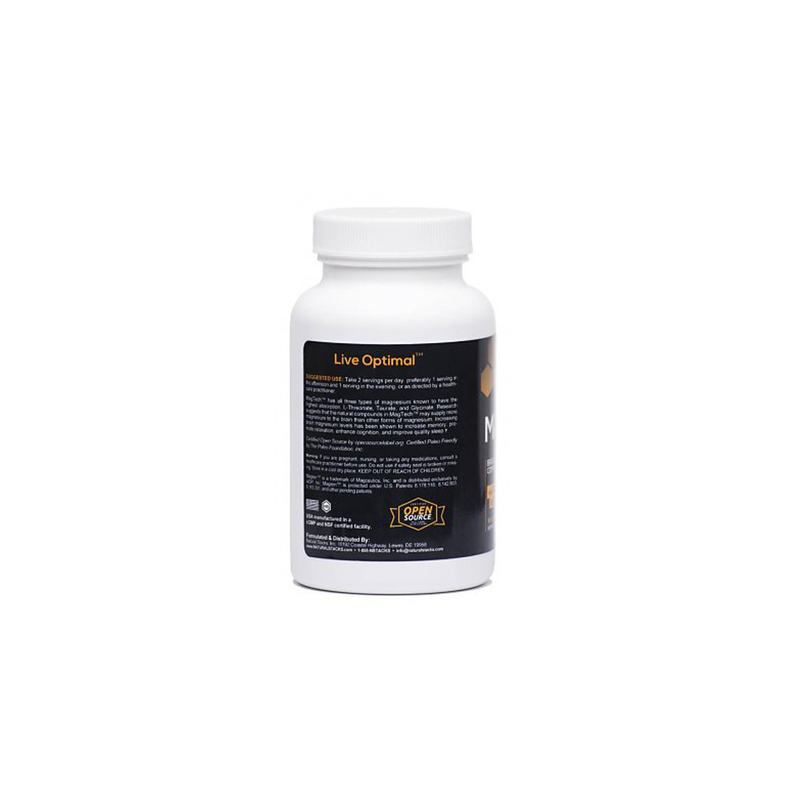 It features all three types of magnesium known to have the highest absorption, L-Threonate, Taurate, and Glycinate. Contains 90 capsules. Magnesium-l-threonate is a breakthrough super-mineral with strong evidence of supporting cognitive functions and brain health. It is the only magnesium compound that has been shown to effectively raise the brain’s magnesium levels, which leads to improved memory and cognitive functions. Magnesium and glycine both have a calming effect on the brain, helping to reduce nueral excitability (stress) and support healthy sleep quality. 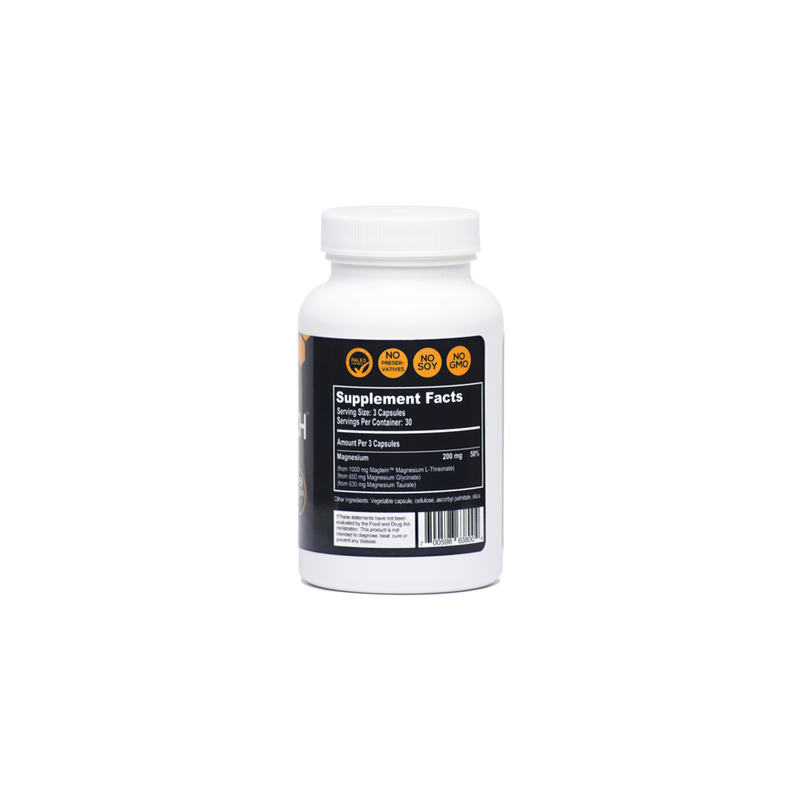 Magnesium glycinate is one of the best absorbed forms of magnesium. 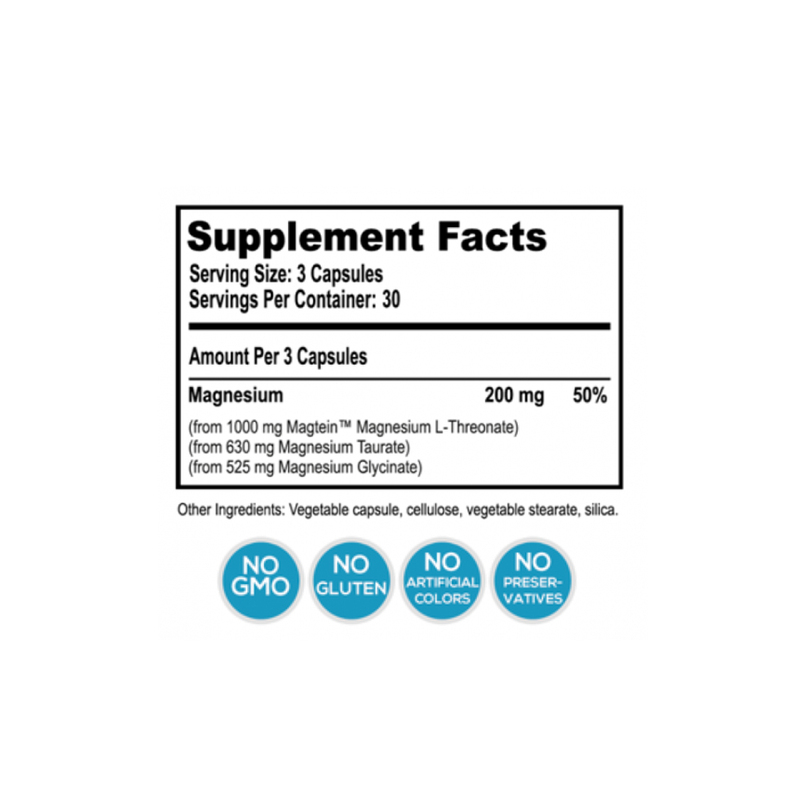 Magnesium Taurate is a synergistic combination of magnesium and taurate, a free-form amino acid known to calm neural activity similar to the neurotransmitter GABA, promoting relaxing. 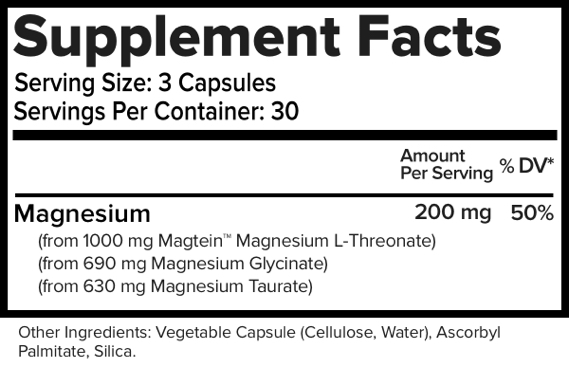 This form of magnesium supports maximum absorption in the cells and distribution throughout the body. Got this because it was a combo of 2 types of magnesium that was recommended to me. Great quality and helps me sleep! Less expensive for the combined magnesiums too!! Overall this magnesium supplement has helped me with sleeping better, and has eliminated cramping in my feet. This product is a must for a good, deep sleep! During my chess tournaments, I often have a difficult time sleeping when my games end late @ night (a standard professional game could last up to 5-6 hours), or when my mind is excited thinking about the next morning’s match. Two weeks ago, I used the product during an international tournament in Vietnam every night before going to bed and it helped a lot in calming down my mind and giving me much needed rest & energy for the next day’s matches. This product truly does for you what it says it would! Highly recommended. 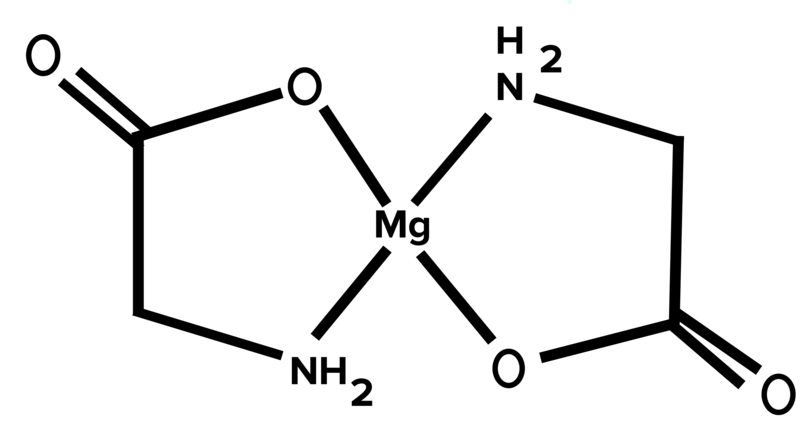 I have been looking for this type of Magnesium for a couple years now. My body needed it bad and I’m feeling so much better now that I have this! Thank You !! 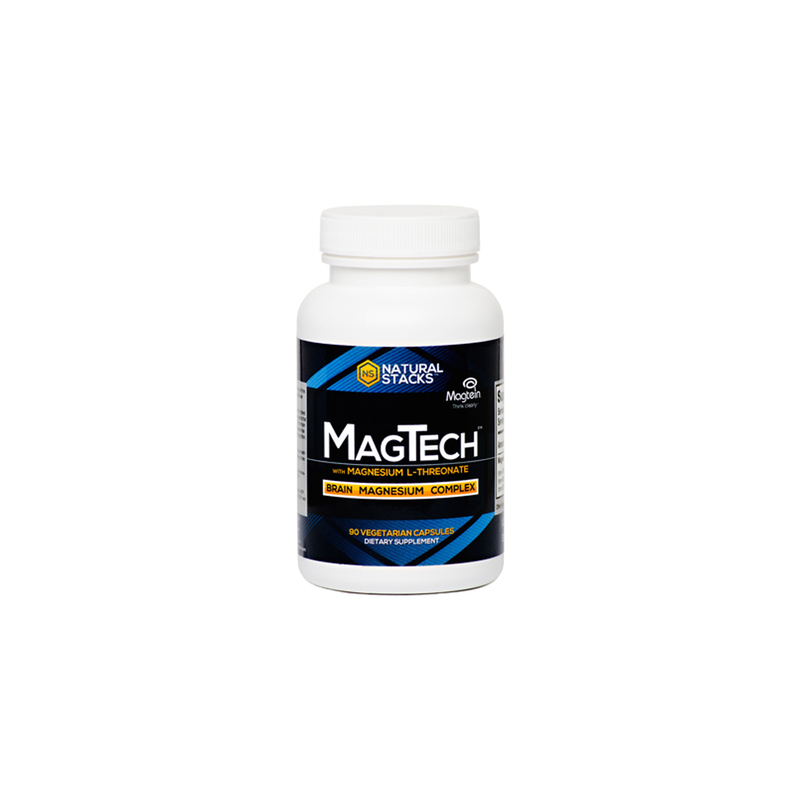 My doctor recommended MagTech to me for reducing anxiety and better sleep. I have been using it for 6 months now and it really helps! I highly recommend this product. This has made a huge difference in my sleep and I’ve had more mental clarity. Brain fog is now rare and my sleep is so much more restful. I will definitely order this again! I’ve been taking MT for three weeks and my quality of sleep is enhanced. I’m very impressed and grateful for the quality of MT. I feel assured that my health will be immensely improved and am committed to this supplement. It is a high quality product.